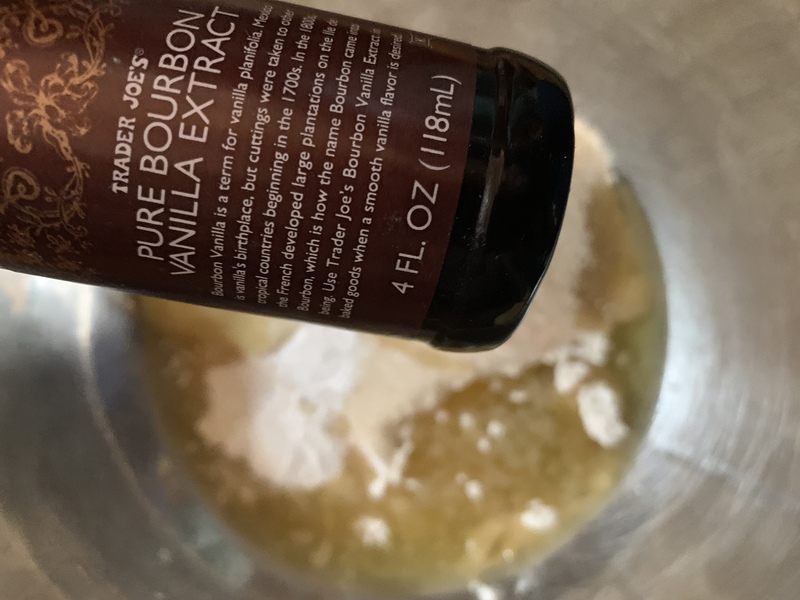 1- Dump the flour, sugar, baking powder, oil, salt, rice milk, bourbon vanilla extract into a mixing bowl and use fork to combine well. 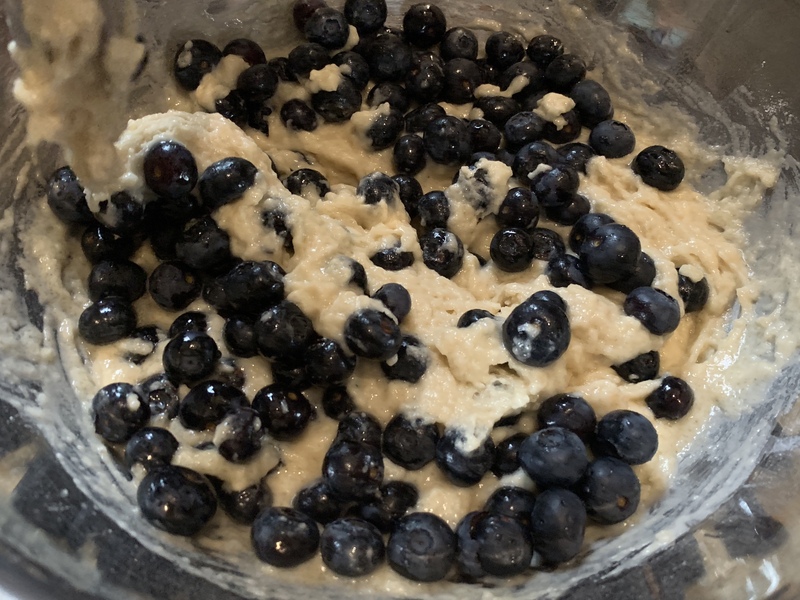 The muffin batter will be quite thick– it’s supposed to be. 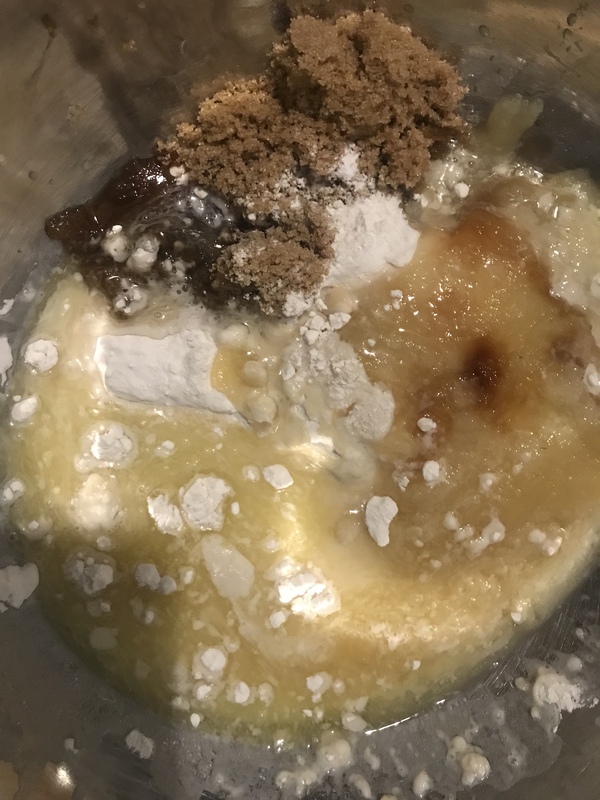 Note: I did 1/4 granulated sugar and 1/4 cup brown sugar because I was out of the granulated sugar one time and it was just as good. 2- Fold in the blueberries. 3- Scoop into muffin pans (filling it 1/2 to 3/4 of it) and gently sprinkle a little sugar on top of each muffin too. This was as great suggestion from the original recipe. It makes the top crunchy. 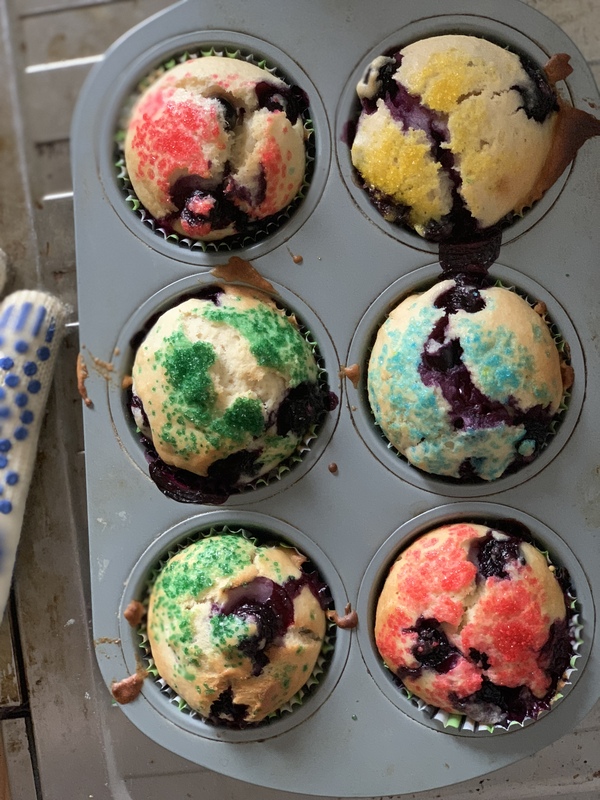 Not quite a crumble, but such a great touch to make it seem like a fancy muffin to the kids. We had colored sugar and the girls had fun choosing the colors for these! Not a cupcake, but just as pretty! 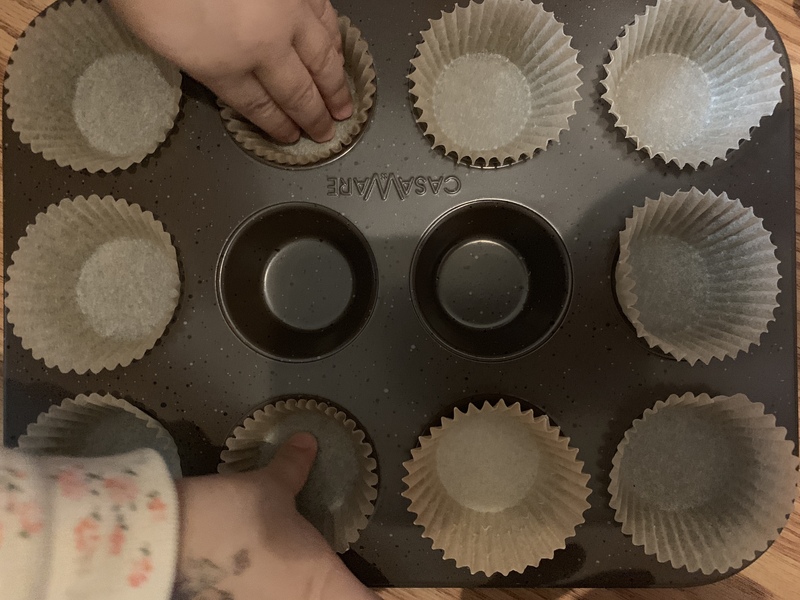 I had the girls all helps to line the muffin pan with cupcake liners. The girls and I filled them up. I am usually always guilty of over filling hah! 3- Bake muffins 400F 15 to 20 minutes or until a toothpick inserted into the middle of a muffin comes out with dry. 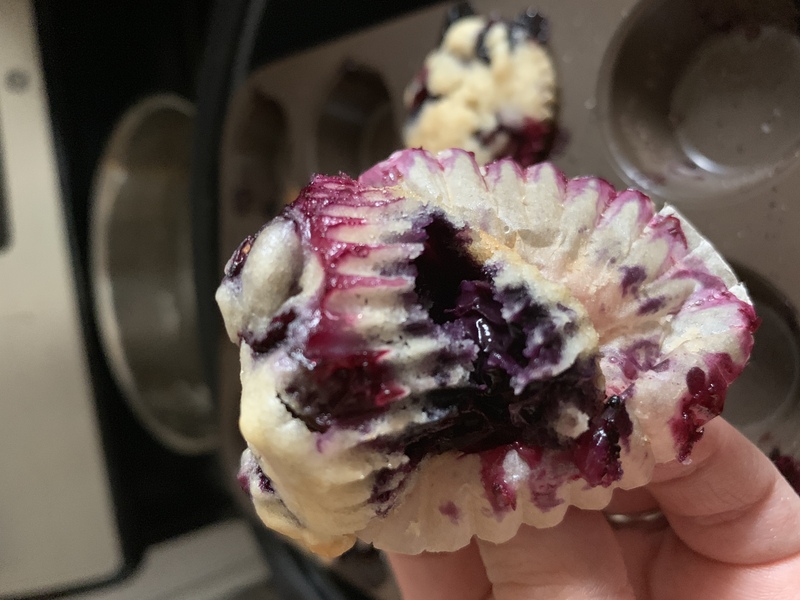 Note: Bake 9-12 minutes if making mini muffins. 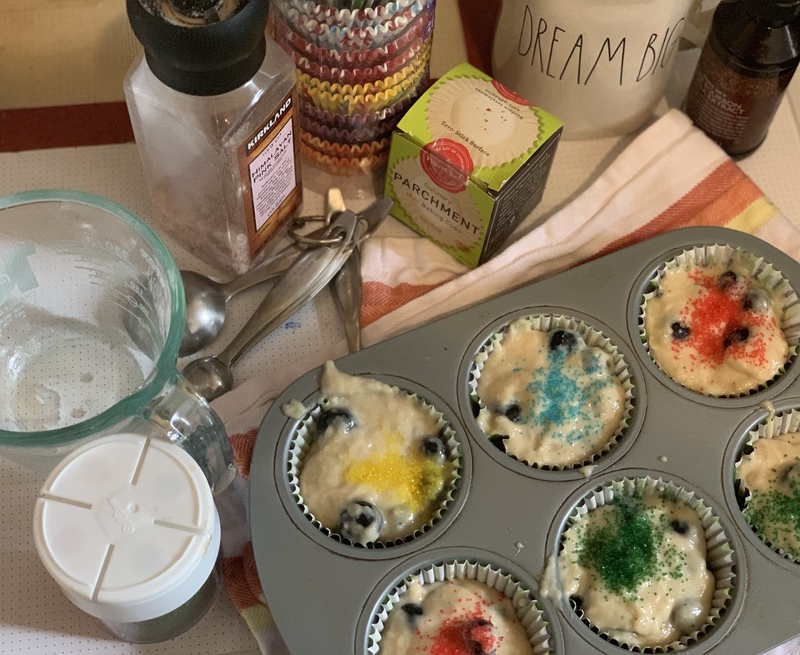 How do you like to eat your muffins? We love ours warm and fresh from the oven just as they are (cooled down for the kids of course) . 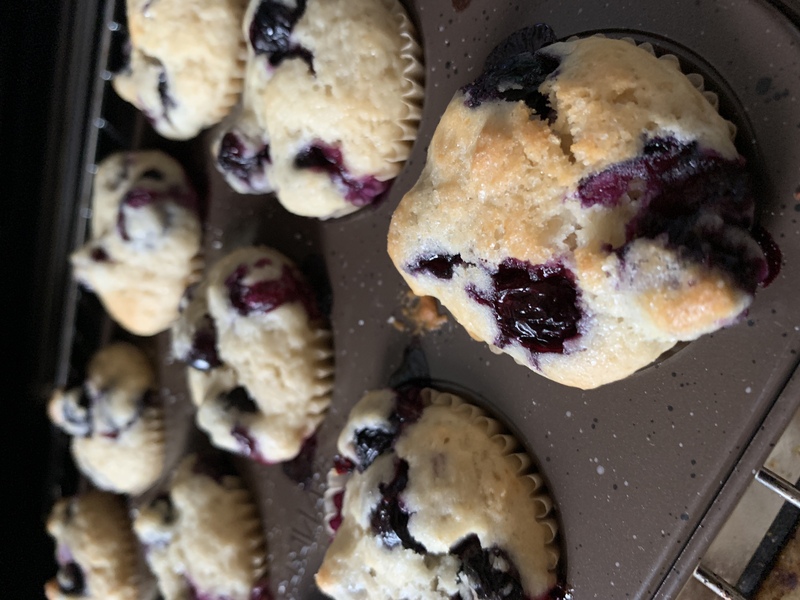 What are some of your favorite tested and tried, fail proof muffin recipes?